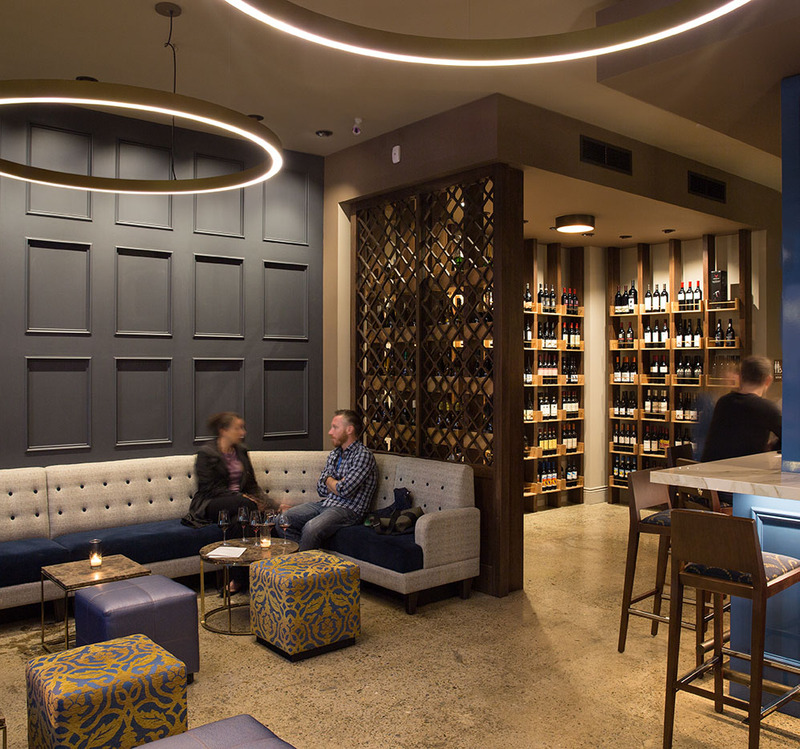 Resolute Wine Bar offers patrons both a tasting experience and a retail store under one roof. 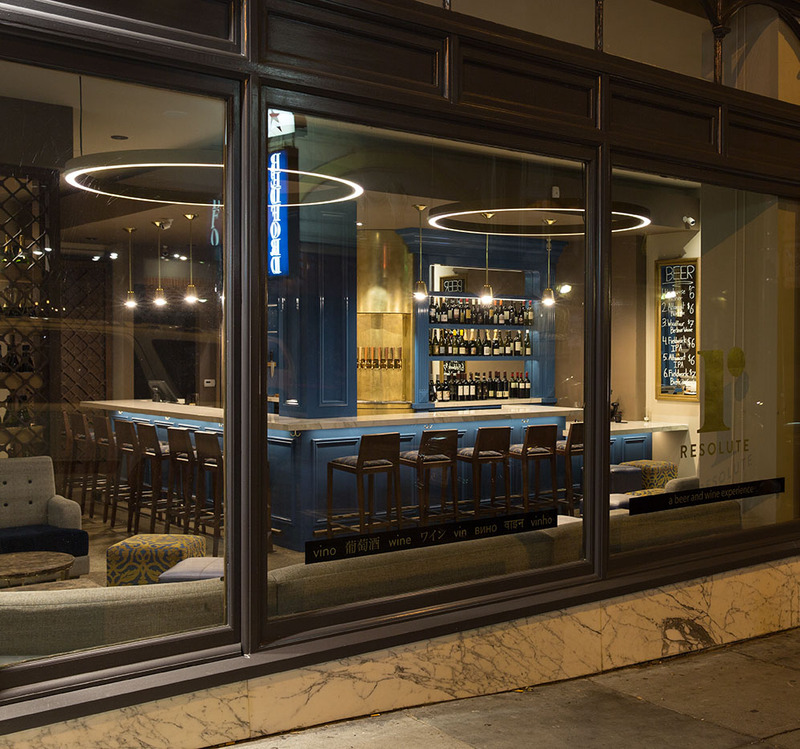 Auerbach Glasow provided architectural lighting design for this urban tenant improvement project located in a trendy area near Union Square in San Francisco. Upon entry, visitors are greeted by a central bar and relaxing lounge area featuring wrap-around seating and movable tables, both the bar and lounge are visible through large windows that face the street. The pendants above these spaces were selected to provide a level of sophistication that anchors the room. A retail area and wine library are located behind a lattice screen and in an alcove, dividing the space and serving the retail function of the establishment. The lighting in this area needed to be brighter without interfering with the mood set in the bar. Auerbach Glasow’s lighting design compliments the form and function of the space by applying layers of light with unique fixtures that define the different seating arrangements creating a popular after work destination.